Wash the rice and soak it for half an hour then drain. To cook the rice add boiling water; one and a half times the quantity of rice in a large vessel. Add 4 Tbsp of salt and 10 tsp of oil and stir well. Close the lid and keep it on low flame till all the water is absorbed. Switch off the flame and let it cool. Do not open the lid till the rice has cooled down. Meanwhile, heat oil in a pan and add the spices (cumin, clove, cardamom, cinnamon and bay leaves) for the masala. Add ginger, garlic and chillies next and sauté. Then add onions and cook till they are soft and translucent. Once onions are cooked well add the tomatoes and cook for a few more minutes. Add salt to taste and all the mixed vegetables and cook everything together well. Finally add this mixed vegetable masala to the cooked rice. 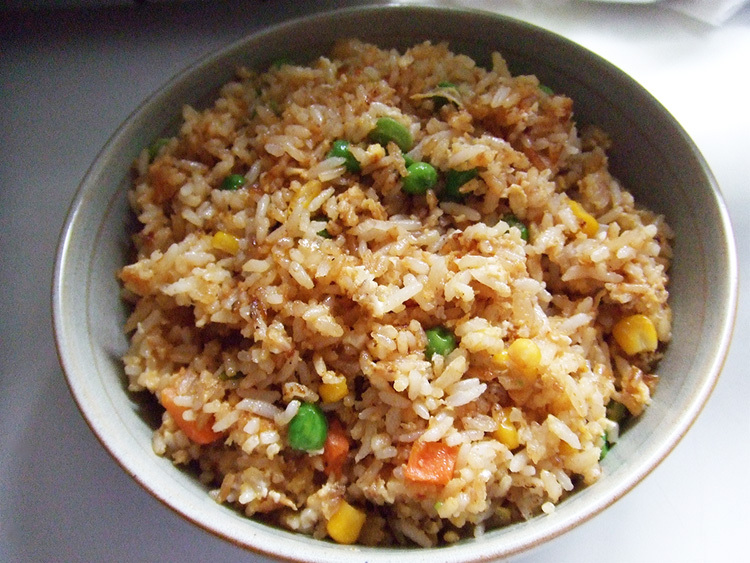 Do not use a spoon to mix the rice as it can break it, instead use a fork or mix it by hand. Add the chopped coriander leaves to garnish and serve hot with choice of curry or yogurt.